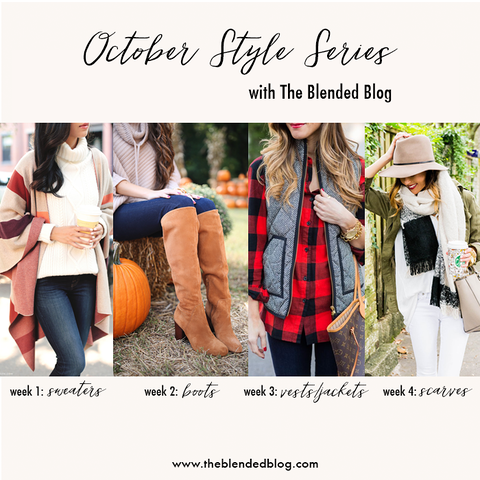 This is Sheila from Making the Most of Every Day and today, as part of the October Style Series, we are talking about how to style fall scarves. 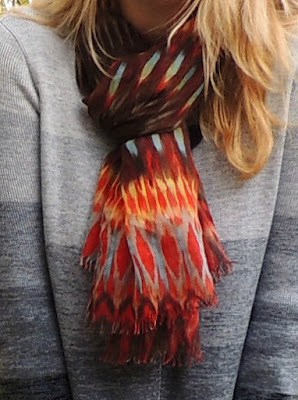 Let's be honest: besides boots, isn't the reason that we love fall is so that we can start wearing scarves again? Come on, isn't it?? Well, that and PSLs! HA! 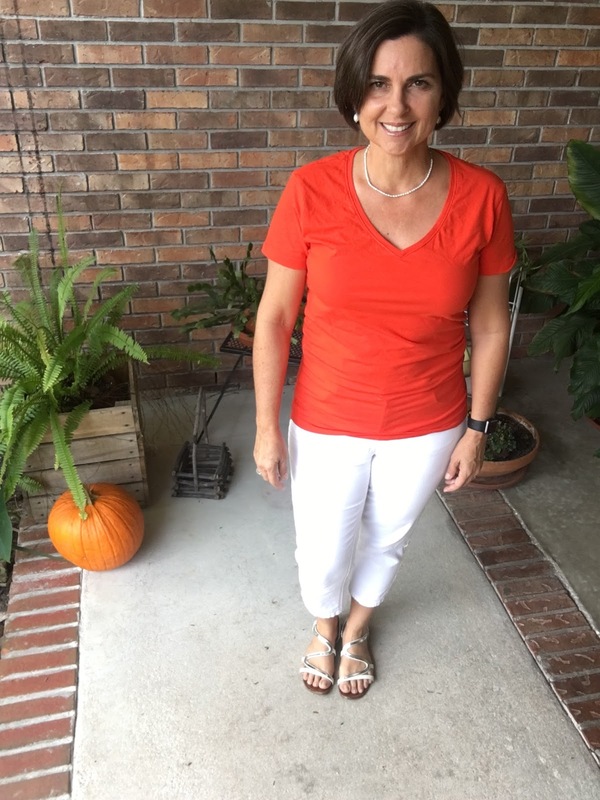 I live in Florida and it turns cool in my neck of the woods much later than most of you so my looks start with this basic summer outfit of orange tee, white jeans and silver sandals. With a few changes to this formula, we can at least LOOK more fall, even if we aren't necessarily FEELING more fall. So hop on over to my blog to see what I do. And then come back here to link your fall inspired fashion posts up with us! Thanks for reading and playing along! Fall Friday Feature: Welcome Back Becky! 5 ways to be a better.......friend. Five Ways to be a Better...Reader?